Black white stripe, Floral, baby Blanket. 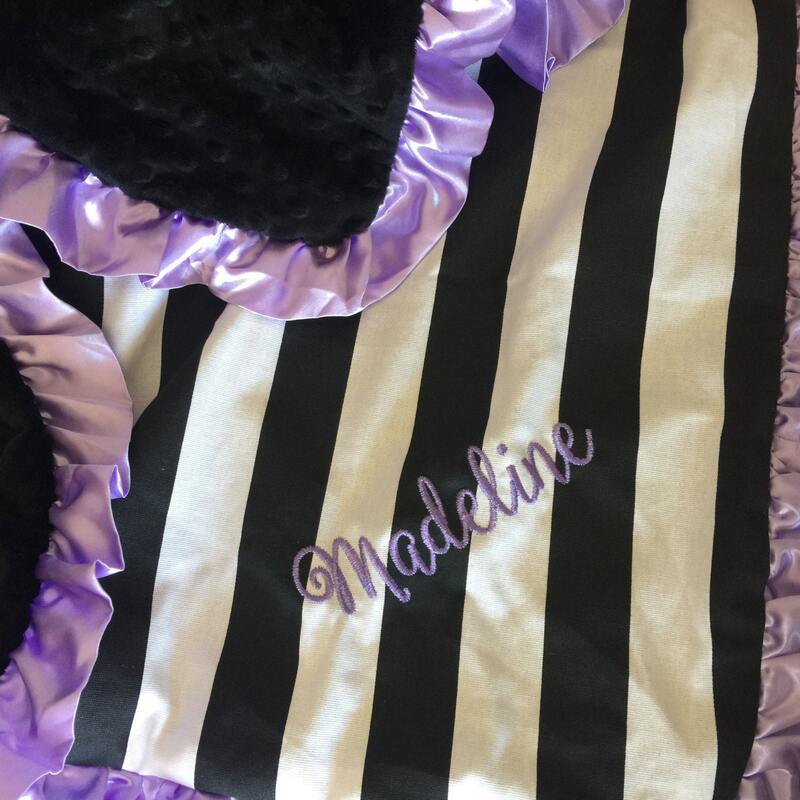 This luxurious minky blanket has been finished with a fuchsia satin ruffle. 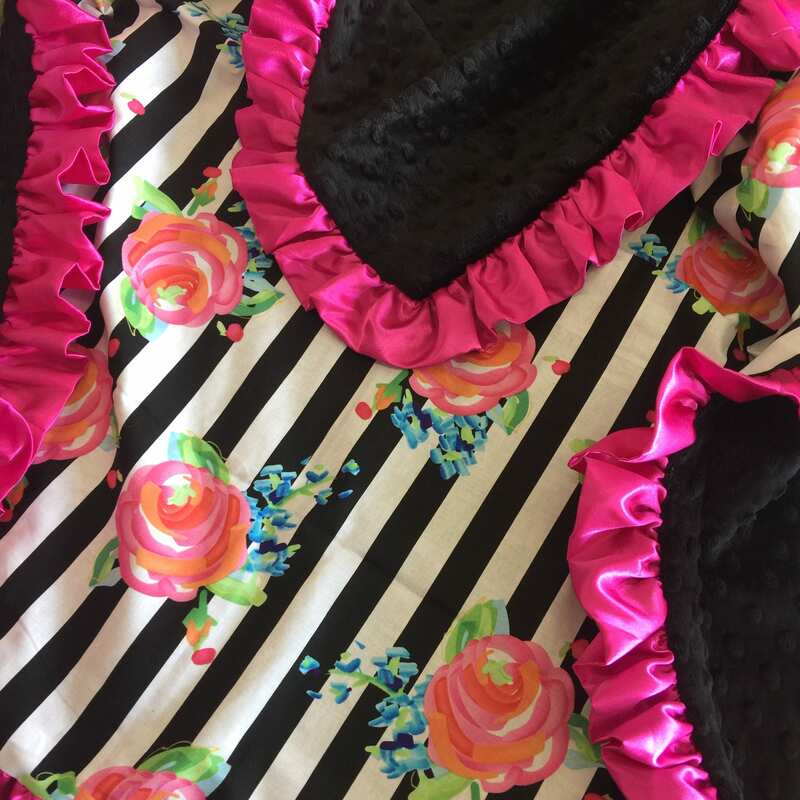 This has a cotton floral stripe fabric on top and black minky dot on the bottom. You can choose the color minky you want on the botom of the blanket and satin ruffle. Please state choices at checkout. If no comment is stated, blanket will ship as pictured with fuchsia satin ruffle and black minky dot on reverse.